As the seasons change, my skin changes as well. I was looking for a new nighttime moisturizer with a heavy focus on anti-aging benefits. I will say I have numerous moisturizers that are strictly just to help retain my skin's natural moisture levels. These are great when my skin is more oily (spring/summer). Currently, I need more of a treatment based moisturizer and decided to ask my facialist which one she recommended for me. I usually like to research and buy my own skincare, however, my facialist is extremely knowledgable and knows my skin the best. (If you live in the Los Angeles Area, go to Trilogy Spa in Manhattan Beach and ask for Melissa-you won't regret it.) She suggested I use Goldfaden's MD Wake Up Call Overnight Facial Treatment. I did purchase the product at Trilogy Spa, but you can purchase on Goldfaden MD website or Credo Beauty. Goldfaden MD is a natural skincare brand free of Parabens, Petrochemical Substances, Mineral Oil, Alcohol, Gluten, Animal Origin Ingredients, Harsh Chemicals, Artificial Colorants, Chemical Preservatives, Synthetic Fragrances And Chemical Sunscreens. Developed by a dermatologist, practicing over 40 years, Gary Goldfaden, the brand focuses on efficacious skincare solutions with plant based botanicals. Also, all the packaging is recyclable. Each night, after I cleanse my skin, I apply two pumps onto my fingertips. I gently pat the product into my face, neck and décolleté. My skin immediately feels moisturized and breathable. I find that having just two steps each night has really simplified my skincare routine. I get SO tired at night that anything I can do to shorten the time between the bathroom and bed is really important. When I wake up in the morning my skin looks even toned and plump. Any fine lines have been diminished and the texture of my skin has greatly improved since using this. This moisturizer comes in an airless pump providing a clean application process. I really enjoy that I can recycle the packaging once I am done. I will continue to use this up and maybe venture into more Goldfaden MD products. 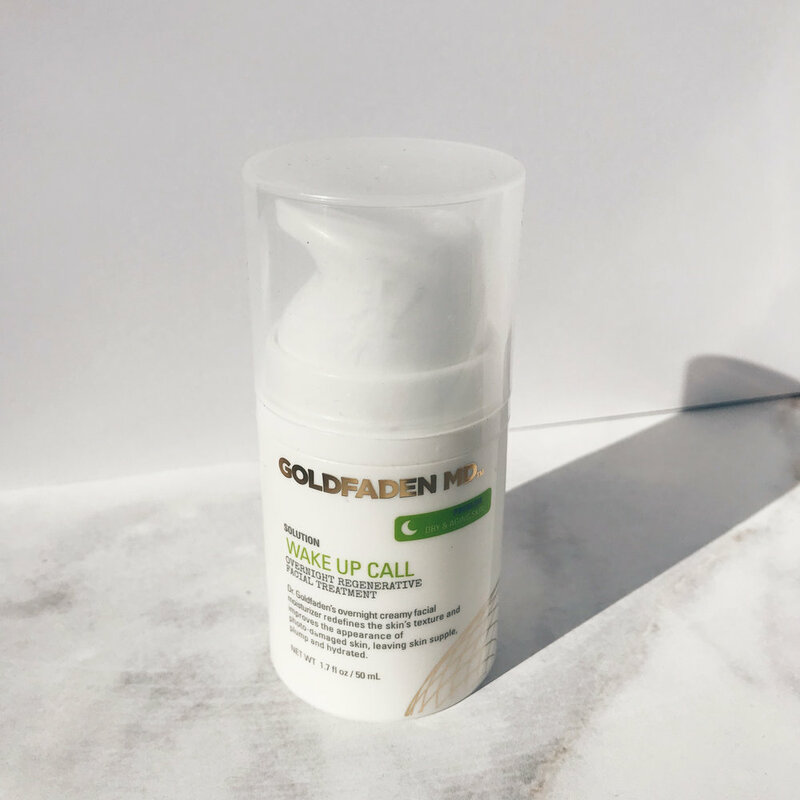 If you are looking for a more natural but highly effective skincare brand, I would recommend Goldfaden MD. What natural skincare brands do you love?